Nissan’s ProPILOTTM Assist technology, continuing to pave the way for future fully autonomous vehicles, will be available on the company’s bestseller, the Rogue compact SUV. ProPILOT Assist reduces the hassle of stop-and-go driving by helping control acceleration, braking and steering during single-lane highway driving. ProPILOT Assist2 is the foundation for the autonomous vehicles of the future, helping drivers maintain lane control, navigate stop-and-go traffic, maintain a set vehicle speed and maintain a set distance to the vehicle ahead – all with a simple two-button operation. ProPILOT Assist is available on the 2018 Rogue SL grade as part of the Platinum Package, with an expected starting price1 under $35,000 when it hits dealer lots later this month. Following Rogue, ProPILOT Assist will next launch on the Nissan LEAF in January 2018. Nissan has plans to extend the technology to more models in the U.S., Europe, Japan and China – with 10 models to be launched by 2020 by the Renault-Nissan-Mitsubishi Alliance, the world’s largest automotive manufacturer. The 2018 Rogue is available in three well-equipped grade level: S, SV and SL. As in previous years, Rogue offers exceptional passenger and cargo flexibility with its innovative EZ Flex Seating SystemTM and Divide-N-Hide® Cargo System. Along with the new ProPILOT Assist, other enhancements to the 2018 Rogue include the addition of standard NissanConnectSM featuring Apple CarPlayTM and Android AutoTM on all trim levels, and revised Midnight Edition Package content. Rogue continues to set monthly sales records, including a 47% increase in September. Calendar year 2017 sales-to-date of nearly 300,000 units represents a 22.9% increase over the previous year. realize they can afford technology usually reserved for high-end, expensive luxury vehicles. Bringing unexpected value is core to the Nissan brand and our Nissan Intelligent Mobility mission. 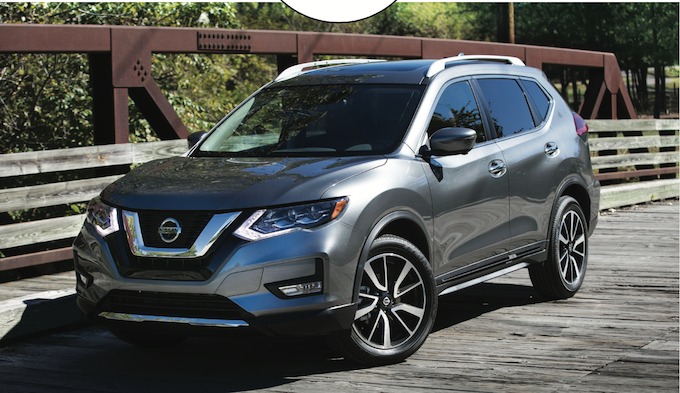 The 2018 Nissan Rogue’s new ProPILOTTM Assist2 eases driver workload by reducing the amount of driver acceleration, steering and braking input under certain driving conditions. To activate the system, the driver simply pushes the blue ProPILOTTM Assist ON button, which is integrated into the right-side steering wheel spoke. Step two is to set the Intelligent Cruise Control when the desired speed is reached, as with a normal advanced cruise control system. When lane markers are consistently detected, steering assist engages and the steering wheel/lane marker icons on the instrument panel turn green. Both right and left hand markers need to be detected by the front camera. Steering assist will engage or disengage depending on the visibility or presence of lane markers, though the Intelligent Cruise Control will remain active. If the vehicle comes to a complete stop in a traffic jam situation for more than three seconds, the driver just presses the resume button or taps the accelerator pedal to begin moving again. Tested about 200,000 miles on U.S. roads and tuned specifically for U.S. roads, ProPILOTTM Assist is designed to be more intuitive and user-friendly compared to other driver-assist technologies. It can potentially help lessen driver fatigue and create a more confident driving experience – especially for drivers who experience heavy highway traffic on a daily basis. 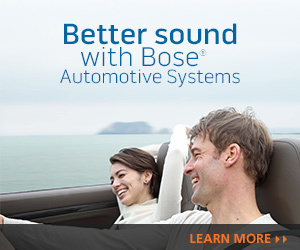 It utilizes a forward- facing camera, forward-facing radar, sensors and electronic control module to help the driver stay in the center of the driving lane and to maintain vehicle speed (set by the driver) or help maintain a gap to the preceding vehicle if the vehicle speed drops below the driver-set speed. It also can slow the vehicle to a complete stop and holds the vehicle during traffic jam conditions. Steering assist is cancelled in inclement weather if the windshield wipers are in the low or high position (if lane lines can be detected, the system can remain active when the wipers are in the intermittent mode or if the mist function is activated). The driver’s input always takes priority, overriding the system when the steering wheel is turned or the turn signal is operated (steering assistance goes into a temporary standby mode). The system also goes into temporary standby mode when the accelerator pedal is pressed. The system’s Intelligent Cruise Control and lane keep assistance are both cancelled when the brakes are applied.